Get your free Slate Roofing estimate in Lynn Haven! 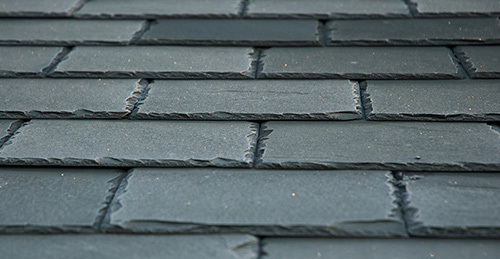 Slate roofs have a magical appeal, and a beauty that is unrivaled. Another eco friendly solution, that can last 5 times as long as asphalt roofs, and provide your house with a roof that will likely last a lifetime. This roof is a real head turner, and will give your home the elegance that you've always wished a roof can do. Its variety of different cuts, colours and shapes can allow you to customize your roof to your desire, while knowing that this roof could last you a century! With the introduction of synthetic slate options too, you can now have a slate look at a fraction of the price! These lifetime products will give you the appearance of a new slate roof without the economical impact!